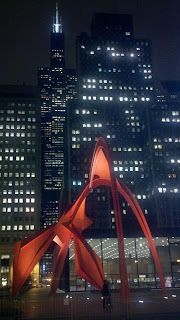 I arrived Saturday morning (and got to McCormick Place shortly before noon) and left Monday evening. That worked well enough, though there were a couple sessions I would have attended earlier on Saturday morning. It appears that the planners have recognized that most people leave on Monday, because there weren't a whole lot of offerings on Tuesday. McCormick Place is HUGE. To get from the east to the west building took at least 15 minutes of walking, and somehow it seemed that the sessions I wanted were scheduled so that I often made that walk. The exhibit hall was great. Thanks for providing the charging station for our phones and laptops! 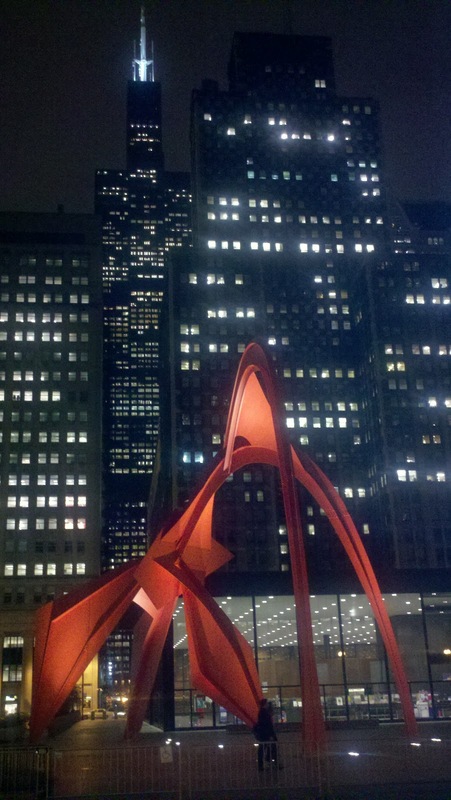 WiFi throughout McCormick Place worked well. That also was a boon. Note to self: There were 3 different Hyatt hotels used for the meeting. Make sure you know at which one the reception is at or you will end up losing an hour and a half walking and riding around on the buses. The AAR-SBL app worked well enough. My phone is just a bit slow, so I did end up writing my daily schedule on paper. Using Scanner for Zotero to accumulate interesting books I saw in the exhibit hall worked great. As usual, the sessions were a mixed experience. Some topics are so obscure that you need to be an expert to figure out what's going on. (Okay, so the SBL Fonts presentation was high on my list.) Some presenters do much better than others. (In a number of instances, I really would have preferred to just read the paper.) I wasn't able to stay for the whole session to hear all the reviewers, but Larry Hurtado provided a very helpful review of the Jewish Annotated New Testament. (Perhaps he will publish his full review online.) Another interesting session was on "Intertextuality in the NT" featuring a book review of the very recently released Revelation and the Politics of Apocalyptic Interpretation (Richard B. Hays and Stefan Alkier, eds., Baylor University Press, 2012). They (rightly) assumed that most people had not read the book, but it generated some very interesting discussion. 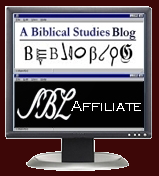 I also enjoyed visiting the various Bible software booths and posted some updates for Accordance, BibleWorks, and Logos. I too concur that the venue was HUGE. Especially when the Old Testament stuff was frequently on opposite ends of the venue. Yikes.